Traveling opens the door to achieving new opportunities and discovering new dreams. Getting to see countries, continents, jumping on cruises, and seeing other places can allow for you to gain a new sense of optimism and see things from a different light. 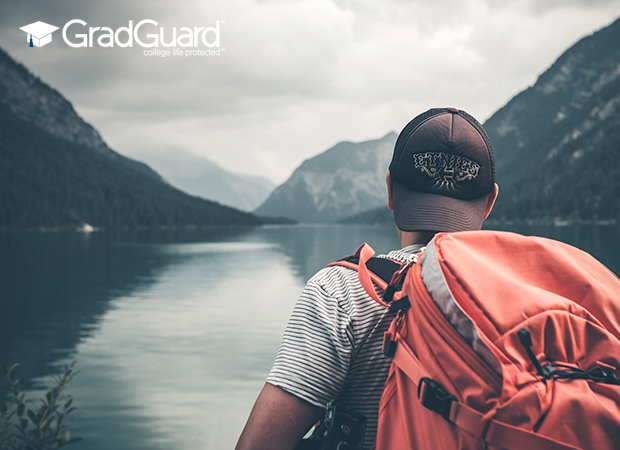 It’s hard for college students to travel because of a lack of money and having time to do so, but the truth is that you need to stop making those excuses if you want to live life fruitfully. Traveling is one of the most incredible ways to experience life, but when you constantly use your college life circumstances as your reasoning as to why you can’t do it, then you will miss out. Most excuses usually stem from two things: not having enough money and not having enough time. If you don’t sort either of these out, you are missing out on great opportunities. Understand that traveling can be done in multiple ways and doesn’t have to be through the traditional route. For example, you can always take a luxury cruise to Hawaii instead of flying. Doing this means the traveling already begins even before you land on the islands. You can also take long drives and road trips to different destinations around the nation. Traveling can be done in ways that can suit your budget, lifestyle, and means of ability. Do you ever find yourself getting random checks? How about additional change you never use? Stash away real dollar bills and coins that you find and have, and then use that to build your next trip. Every paycheck you have should have a small amount go straight into your future trips fund. If you want to travel badly enough, find a side hustle. There are plenty of ways you can make an extra amount of cash on top of your current workload. Side hustles can be anything from mowing lawns to tutoring kids or other students. Be creative. Use any skills you have. Making extra money is about being creative and putting yourself out there. You don’t need to fly business class to have a good vacation. You don’t need to stay at the most expensive place at the Bahamas to achieve a fun time. Know how to hunt down quality flights and good hotel prices. It’s all about creativity and using your mind to find resources that open the door to saving money. Cheap hotels, flights, and accommodation within your budget can allow you to go anywhere you want. The Internet is full of resources to locate affordable options for everything travel related. Take a look at the next two months of your life and try to find a time and a place when you can fly to the destination of your dreams and see other parts of the world. Planning out a trip in advance also means you have the time to save money for it for the future. No need to spend every dollar that you have right now for your trip. Getting time off from work is also a tough thing to overcome. Asking for days off months in advance opens the door to achieving the best possible free time so that you can travel. Going out of your state and into other parts of the nation opens the door to learning about your country. Traveling out of state and going abroad opens an even bigger door of knowledge and education learning about other parts of the globe. Historical landmarks, national parks, an educational sites allow you to discover new cultures and livelihoods. Traveling teaches you about the way other people live their daily life, allowing you to appreciate the world and how it operates in different parts of the globe. You can even pick up a new language everywhere you go and dive right in to the other cultures. Stop making excuses on why you aren’t traveling enough. Stop not caring about your financial life and start saving for the future. Your next trip is not far away. You can plan a trip and go to a new country this year and make it a goal to visit someplace else in the next year. Just a few adventures a year can open your mind to endless possibilities. These tips from GradGuard can helo get you there! BIO: Brett has a degree in Business Management and has started a couple of small businesses. When he’s not focusing his time on those, he spends time with his wife and two sons. His oldest son has entered the wonderful realm of college, and he now enjoys sharing tips that he and his son have found essential for college life.